Over the years I have bought and read dozens of books and online articles on self-help, productivity, management, and other topics, but sometimes I wondered why I bought them or spent time reading them as I didn’t recall most of what I had read and learned. I loved reading them, but as I tried to become more intentional about how I spent my time and what I focused on, this was an issue that started bothering me. 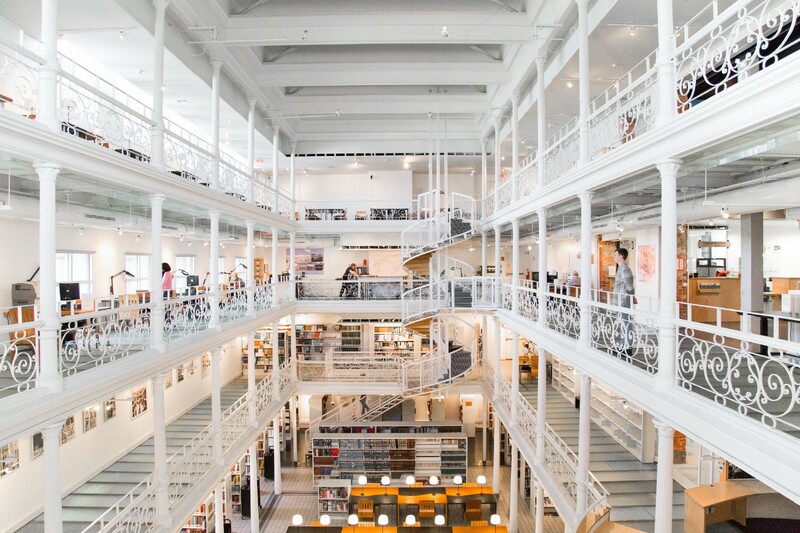 The solution wasn’t to stop reading or learning but to find an effective way of capturing the essence of the content I was reading and then having a way to easily find it and consume it when I needed it in the future. We learn through repetition and by connecting new information to existing knowledge. 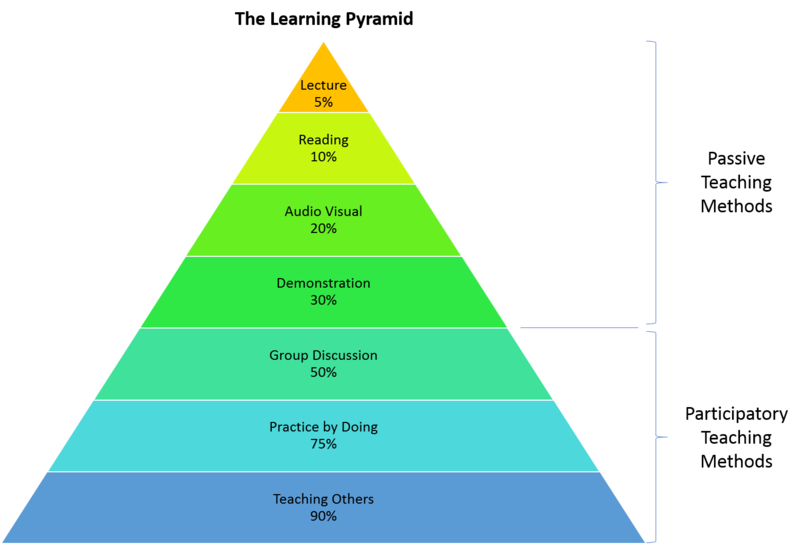 The most effective ways to learn, involve some aspect of participation and/or discussion. We retain approximately 90% of what we learn if we have to explain what we have read or watched to others, and 75% if we put to practice what we learned. To be able to explain, or practice something we’ve learned, we either need to summarize and interpret content in our own words, or need to revisit the content several times as we practice it. These activities help us distill the content down to what is essential and make that content relevant for us. We retain approximately 90% of what we learn if we have to explain what we have read or watched to others, and 75% if we put to practice what we learned. Note that, even if we aren’t explaining what we’ve read to others, the act of summarizing the content we’ve read and distilling it down in our own words has a similar effect to teaching it to others. This is the key to retaining more of what we read and learn. Summarizing an article, or book after you have finished reading is very difficult. If you haven’t identified some of the key nuggets along the way it’s going to be very difficult to go back and find what resonated with you. To make the most of what you’re reading, the first step is highlighting or noting what you find relevant for you along the way. To accomplish this try the following steps. This will help create an initial summary of what you’ve found relevant in the content you read. Don’t worry too much about whether you’re highlighting too much, or too little, just highlight what feels relevant for you at this stage. Most of my reading these days is done online, or on the Kindle app, so I use digital highlighting tools to accomplish this. 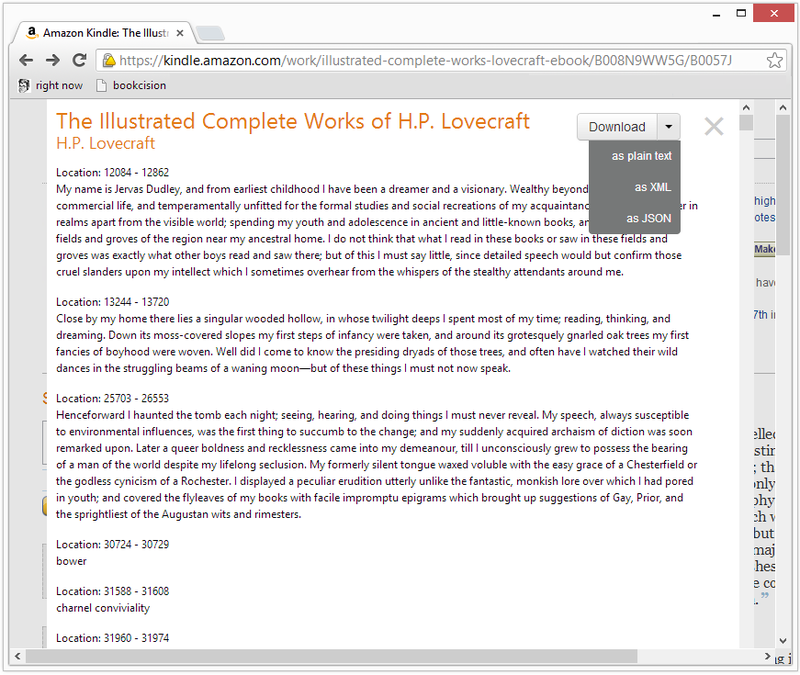 For highlights on the Kindle app, I use Bookcision to download the plain text notes into Evernote. Screenshot of Bookcision — Example of exporting notes as plain text. For online articles I’ve been using an app called LINER. 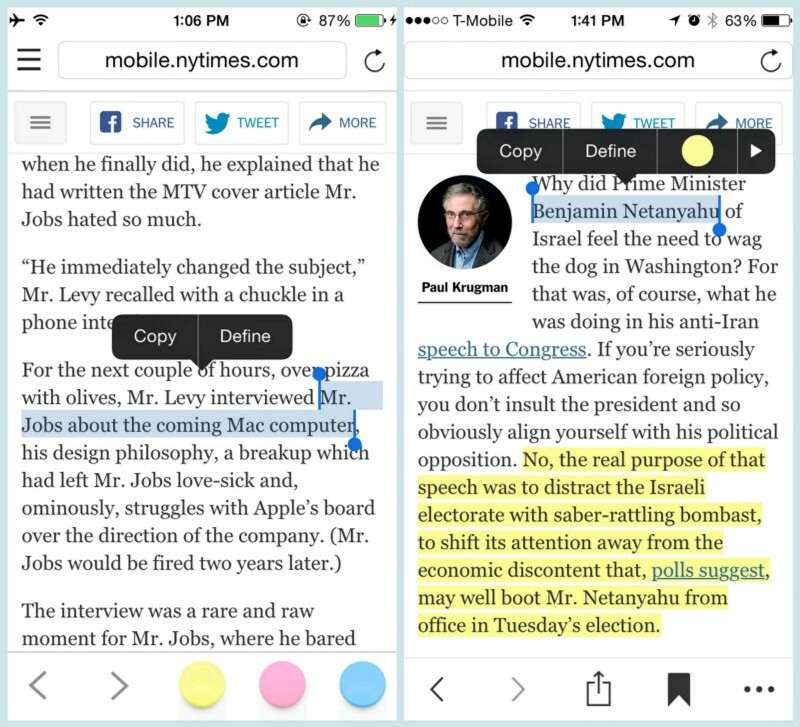 This app allows you to highlight any text in a web page (both on mobile and desktop). Once you’re done with highlighting, you can export the highlighted sections to your note taking app of preference. For physical books there are some interesting tools out there to capture what you’ve highlighted and to translate that to electronic text. I use an app called Shelfie to take a photo of the highlights and the app transcribes the photo to text. 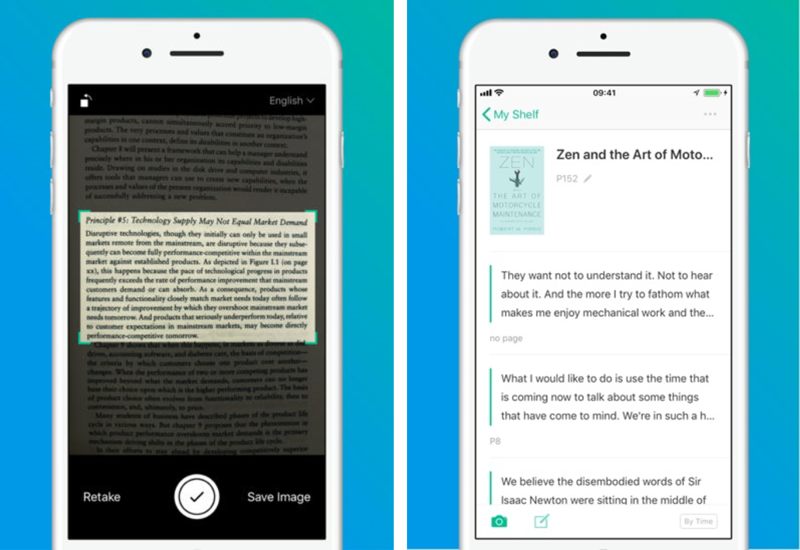 Once you’ve finished reading a book, or at the end of a chapter, copy your highlights to a note taking app, or write them down in a notebook. Scan through the highlights to identify what is indeed relevant for you from what you captured initially. Preferably, as you summarize the highlights, delete what doesn’t feel relevant any more and combine similar highlights together to reduce the volume of content. The objective of this step is to get to the bottom of what feels relevant for you from the content you’ve read. This activity helps your brain understand and store these concepts more effectively as you’re not just copying/pasting someone else’s content, you’re actually having to think about what you’re reading and understanding what is relevant. Most non-fiction books and online articles can be synthesized to a dozen paragraphs of text, so part of the key to capturing the essence of the content you’re readying is to capture nuggets of text that feel relevant to you. I do all my highlights summaries by editing my Evernote notes. I go through the highlights I stored, re-arrange and/or combine sentences and concepts. I also look for other similar books and or article notes I’ve read in the past and try to combine or link ideas between notes. If I find that a highlight isn’t as relevant as I initially thought, I delete it; if I find that I can now combine two summaries that are similar, I keep only one, and combine the ideas together. This process involves repetition, part of what’s needed to more effectively store knowledge in your brain, so it may take more than one edit to accomplish. Whenever you have some downtime, come back to your notes and try to summarize them further. This doesn’t have to take a long time, sometimes 5 minutes is enough and you’ll find that as you repeat this process across all the notes you have you’ll start noticing that concepts start sticking in your brain. More importantly, you’ll start seeing connections between different concepts and notes you have. This is a result of the repetition of reading and synthesizing content. Once you’ve finished summarizing your highlights, try to re-write some of them in your own words, this forces you to revisit the content (a key activity to improve learning retention) and it’s mimicking the process of explaining the content to others, another activity that improves learning retention. Pro tip: Once you’ve summarized everything, to further increase retention rates, try to create a blog post summarizing what you read and how it might be relevant for others. Create a bullet summary at the top of your notes / summaries with the key insights for future reference. Think in terms of bullet points, something you’ll be able to scan in seconds later on if you’re looking for this information in the future. Create an index or table of contents, for instance, and a sentence summarizing your key takeaways. This way whenever you’re searching for something, you won’t need to read through the whole summary, you just scan the “table of contents”. The process I described involves investing some time into wanting to retain more of what you read and being more intentional about how you want to use your time. I personally feel more comfortable knowing that the time I spend reading will be more effective if I plan to have some time at the end of a book or article to capture the essence of it as it allows me to remember more of what I read, instead of feeling like I wasted time reading something that I no longer remember. To create the habit for this process block time in you calendar every week to go through your notes. Doesn’t have to be a lot of time, and specially, you don’t have to summarize your highlights in one run. Remember, repetition is key. I find that blocking 30 mins — 1hr at the end of the week to go through the highlights of articles or books I’ve read is enough to help me summarize key sections. Over time you’ll find that you’re not only creating a body of summarized content that might be helpful for you in the future, but even better than that, you’ll find that you’ll remember more of that you’ve read and learned. Let me know if you found this helpful and how you’re using some of these techniques to help you improve your learning retention ! Until the next one, happy reading and learning ! Sharing what I learn as I lead organizational transformation projects. Passionate about Productivity, Planning, Personal Development and Future of Work.